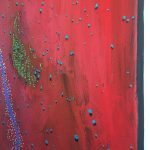 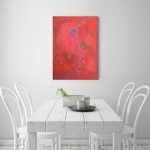 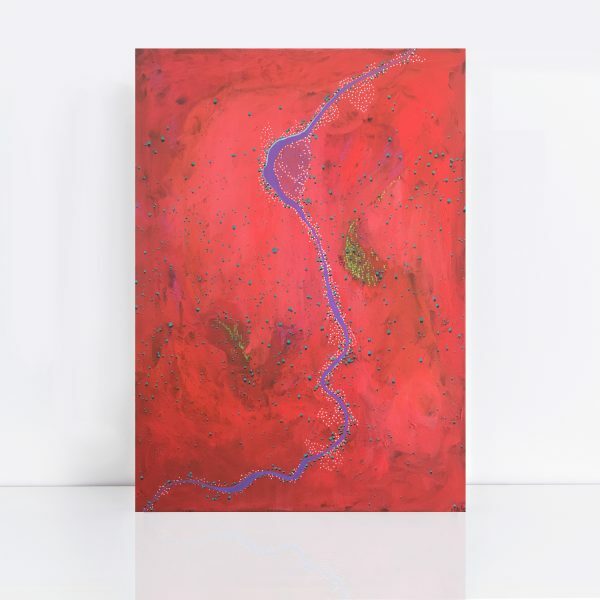 This red abstract landscape painting is based on aerial views overs the Australian desert. 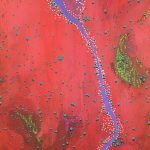 My landscape work is a response to the patterns and textures found in the environment and I find an aerial perspective highlighting this. I have created a little outback world from the original abstract pattern and texture first put down, adding a river, trees and vegetation.